45 FISH FOR ANDY’S 6TH BIRTHDAY!! WHO I FISHED WITH: This afternoon, Thursday, 28 March, I fished with Belton natives Terri Covington, her son, Dave Covington, and Dave’s son, 6-year-old Andy Covington, on the occasion of Andy’s sixth birthday. Terri planned this well ahead of time, desiring the event to coincide with the actual date of Andy’s birthday. I expressed some concern about taking a child so young at this point in the season when options are limited and the techniques are a bit technical, but, all worked out well in the end. 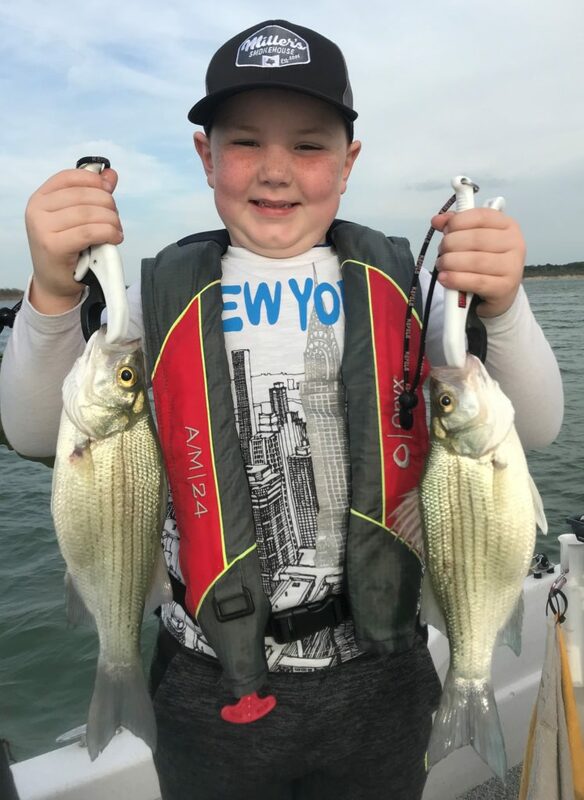 PHOTO CAPTION: Andy Covington, son of Dave Covington and grandson of Terri Covington, was treated to a birthday fishing trip. We landed 45 fish in just under 3 1/2 hours of fishing on Stillhouse. HOW WE FISHED: I began our trip up shallow hoping for some sunfish to offer a bit of instant gratification, but, the heavy chop had muddied near-shore waters and sunfish just weren’t in the cards. We changed over quickly to covering water by flatline trolling and began to pick up single fish with some regularity. Next, a helpful handful of gulls showed some activity over a patch of open water, leading us to find white bass aggressively feeding on shad in about 22 feet of water, allowing all of us to catch a number of fish in short order primarily via a snap-jigging tactic. Although smoking a slab and lift-dropping a blade also produced, the snap-jigged slab with stinger produced best. After this hour-long run was over, we picked up a few more fish in two separate locations via flatline trolling, and then called it a day around 7:45p given that Andy has school tomorrow. We all bet he sleeps well tonight!! 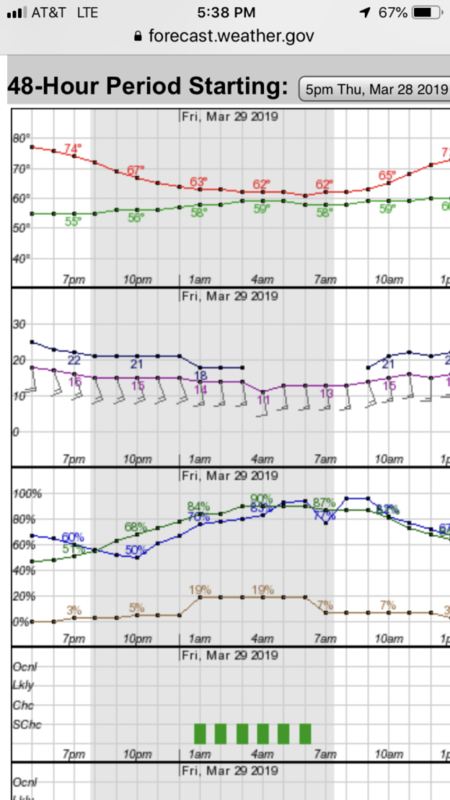 OBSERVATIONS: The action has definitely moved shallow thanks to the multi-day warming trend and high winds of the majority of this day.